The feasts or Moedim, were and continue to be a part of the Mosaic Law that was given to the Children of Israel by God through Moses (Exodus 12; 23:14-17; Leviticus 23; Numbers 28 & 29; and Deuteronomy 16). Moedim means appointed times. God calls them His appointed times. They are not just Jewish feasts. The Jewish nation was commanded by God to celebrate seven feasts over a seven-month period of time, beginning in the spring of the year and continuing through the fall. The fourth feast, Shavuot, occurs fifty days later at the beginning of the summer. Today in Christian circles, this feast has come to be known by its Greek name, Pentecost, a word meaning fifty. This feast is also when the Ruach HaKodesh, the Holy Spirit was given to the 120 disciples who were in the upper room. The last three feasts Trumpets, Atonement, and Tabernacles extend over a period of twenty-one days in the fall of the year. 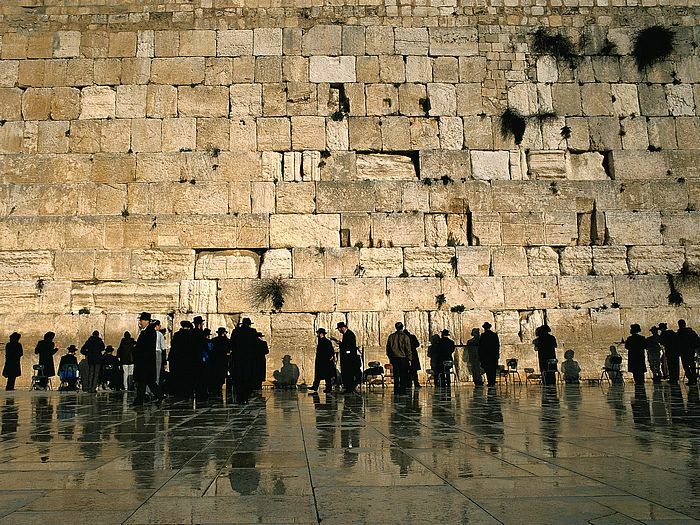 The ten days between Rosh Hashanah and Yom Kippur is known as the Days of Awe and are a time to reflect and repent. Pesach, Shavuot, and Sukkot were the mandatory feasts that required all the men in Israel to travel to Jerusalem three times a year to offer sacrifices. Some of the feasts were related primarily to the agricultural cycle. The feast of First Fruits is a time for the presentation to God of the first fruits of the barley harvest. The feast of Shavuot is a celebration of the wheat harvest. And the feast of Tabernacles is in part a time of thanksgiving for the harvest of olives, dates, and figs. Most of the feasts were related to past historical events. Passover, of course, celebrated the salvation the Jews experienced when the angel of death passed over the Jewish houses that were marked with the blood of a lamb. Unleavened Bread is a reminder of the swift departure from Egypt so swift that they had no time to put leaven into their bread. Although the feasts of Shavuot and Sukkot were related to the agricultural cycle, they both had historical significance as well. Traditionally, we believe that it was on the feast day of Shavuot that God gave the Law to Moses on Mt. Sinai. And the Feast of Tabernacles is and was a yearly reminder of God’s protective care as the Children of Israel tabernacled in the wilderness for forty years. All the feasts were related to the spiritual life of the people. Passover serves as a reminder that there is no atonement for sin apart from the shedding of blood. Unleavened Bread is a reminder of God’s call on our lives to be a people set apart to holiness. Throughout the Bible leaven has been used as a symbol of sin. We are to be unleavened, that is, holy before the nations as a witness of God. The feast of First Fruits, or Yom HaBikkurim, is a call to consider our priorities, to make certain we are putting God first in our lives. 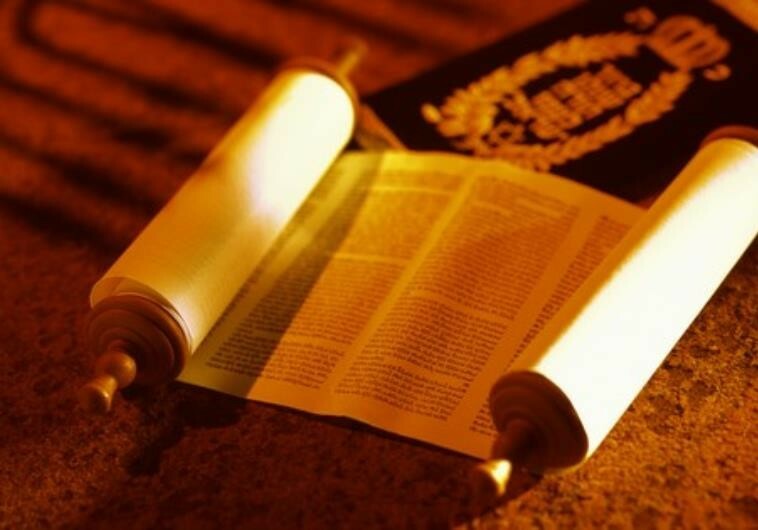 Shavuot is a reminder that God is the source of all blessings. The solemn assembly day of Trumpets is a reminder of the need for constant, ongoing repentance. The Day of Atonement is also a solemn assembly day a day of rest and introspection. It is a reminder of God’s promise to send a Messiah whose blood would cover the demands of the Law with the mercy of God. In sharp contrast to Trumpets and Atonement, Tabernacles is a joyous celebration of God’s faithfulness, even when the Children of Israel were unfaithful. What the Jewish people did not seem to realize is that all of the feasts were also symbolic types. In other words, they were prophetic in nature, each one pointing in a unique way to some aspect of the life and work of the promised Messiah. 1) Passover – Pointed to the Messiah as our Passover lamb whose blood would be shed for our sins. Yeshua was crucified on the day of preparation for the Passover, at the same time that the lambs were being slaughtered for the Passover meal that evening. 2) Unleavened Bread – Pointed to the Messiah’s sinless life, making Him the perfect sacrifice for our sins. Yeshua’s body was in the grave during the first days of this feast, like a kernel of wheat planted and waiting to burst forth as the bread of life. 4) Shavuot or Pentecost – Pointed to the great harvest of souls, both Jew and Gentile, that would come into the kingdom of God during the Church Age. The Church was actually established on this day when the Messiah poured out the Holy Spirit and 3,000 souls responded to Peter’s first proclamation of the Gospel. The long interval of three months between Shavuot and Trumpets pointed to the current Time of the Gentiles, a period of time that was kept as a mystery to the Hebrew prophets in Old Testament times. 6) Atonement – (Called Yom Kippur today.) Points to the day of the Second Coming of Yeshua when He will return to earth. That will be the day of atonement for the Jewish remnant when they “look upon Him whom they have pierced,” repent of their sins, and receive Him as their Messiah (Zechariah 12:10 and Romans 11:1-6, 25-36). 7) Tabernacles – (Called Sukkot today.) Points to the Lord’s promise that He will once again tabernacle with His people when He returns to reign over all the world from Jerusalem (Micah 4:1-7). One final note about the feasts. Six of them the first six are related to man’s sin and struggle to exist. The last feast, Tabernacles, is related to rest. It is the most joyous feast of the year. It looks to the past in celebration of God’s faithfulness in the wilderness. It looks to the present in celebration of the completion of the hard labor of the agricultural cycle. And it looks to the future in celebration of God’s promise to return to this earth and provide the world with rest in the form of peace, righteousness and justice. Before we finish this review of the feasts, I want to briefly link an aspect of the feast of Tabernacles or Sukkot to a vital teaching of Yeshua. Over the years, the various feasts had taken on some extra-biblical traditions that enhanced the experience of the celebration. For instance, a roasted egg was added to the Passover seder to symbolize life. Chanukah was instituted about 165 years before Yeshua was born as an extension of Sukkot and to commemorate Israel’s victory over Greek occupation. 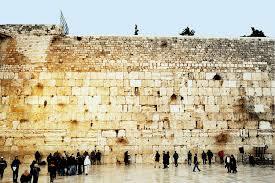 At Chanukah, huge menoras were lit and the city of Jerusalem was awash with light from the temple. There were some customs added to Sukkot that we practice even today. Sukkot is associated with the fall harvest and is also known as the Festival of Ingathering. This was the time of the agricultural cycle when the vineyards were beginning to peak along with other tree fruits, such as lemons and figs. Of course, water played a huge roll in the success or failure of their crops. On the 8th day of Sukkot, a priest would draw some water out of the pool Siloam into a golden vessel, and then bring it into the temple with the High Priest leading the procession. As the priests approached the water gate, the shofar would be blown. This was accomplished during the time of the of the morning sacrifice, while the members of the sacrifice were on the altar; the priest would go up and pour the water mingled with wine upon the Altar. At the same time, the people would all be singing with joy Isaiah 12:1-6 (especially verse 6). On the last day of Sukkot, when the priests would bring water up from the pool of Siloam, we hear from Yeshua. John 7:37 On the last and greatest day of the Feast, Yeshua stood up and cried out loudly, “If anyone is thirsty, let him come to Me and drink. It seems that all living things get thirsty. One of our first reflexes upon being born is to drink in the mother’s milk that satisfies and sustains us in those first critical hours. Throughout our lives we have to stay hydrated. Being thirsty is absolutely miserable. And carried to the ultimate conclusion, the lack of water will end our lives. We as humans also have a thirst for other things, earthly satisfaction, fame, fortune. But none of those things will bring lasting happiness. The more we get, the more we want. When it comes to spiritual things human beings are wired to seek something outside themselves. Throughout the history of mankind, we see evidence of this quest in temples, idols and ritual artifacts. But in the end, none of these things will satisfy. At the end of the day we are still empty and thirsty. Yes, we are predisposed to worship. Someone has said there is a God-sized vacuum in all of us. The only thing that can bring us everlasting satisfaction and happiness is putting our faith and trust in Yeshua HaMashiach, Jesus, the Messiah, the Son of the One True God of Abraham, Isaac and Jacob. Belief in anything else will result in a life of emptiness and longing. He was speaking of the Ruach HaKodesh, the Holy Spirit, that would be given initially to the 120 Believers who were cloistered in prayer. This new manifestation of God’s love and power caused these men and women of God to overflow. Not only were they filled with the living water, it flowed out of them in the form of languages that they never learned. It poured out to the ears of those nearby. Peter spoke and 3000 men were immediately convinced of the deity and Messiahship of Yeshua. This power ignited a flame that swept the world. Mankind has never been the same since the coming of the Holy Spirit. This was what Yeshua spoke of when he said anyone who believes in Him would have living water flow out of them. 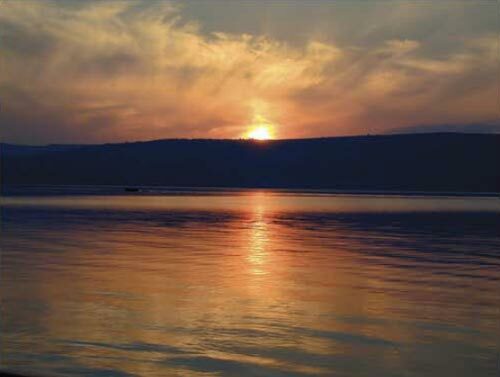 It is significant that He said “living water”, mayim chaim. Running water, literally in Hebrew “Living Water” was required for ritual cleansing and the immersion pools known as mikvahs. Living Water, not still, stagnant, water. Yeshua gives us living water, life, and life abundantly. That living water is available for the asking today. It’s a simple as repenting of your sins and walking in God’s way. If you have been thirsty lately, now is the time to drink up from this fountain of living water provided by Yeshua. Now is the time to let the Ruach HaKodesh, God’s Holy Spirit flow through your life, make you clean and satisfy that dry, thirsty soul.